SeleniumConf is coming back to London! Join us in London this October for two days of inspiring talks, practical workshops and the chance to spend some quality time with like-minded QA and testing peers. We’re very excited to announce our full speaker lineup for this year’s conference! We welcome applications from less experienced speakers so we’ve partnered with Speak Easy - a voluntary program designed to increase diversity and promote new voices at tech conferences through dedicated conference spots, mentoring and events. If you’ve got some great ideas and experience in automation, and a desire to speak for the first time at a conference, they’ll match you up with an experienced speaker who can mentor you through the whole process: from developing your idea into a great proposal and developing a compelling presentation, to delivering your presentation with confidence to an engaged audience. SeleniumConf has dedicated a track session for one new voice who comes through the Speak Easy program. Anyone registered on the Speak Easy site is eligible, so do sign up now and let us know you want a Speak Easy mentor’s help to prepare a SeleniumConf proposal. Learn more and apply at speaking-easy.com. 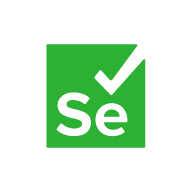 As the Selenium Conference grows each year and every year we create new sites to showcase the conference on the top-level domains for their respective countries. Since we have done the conference enough times now we decided we needed a home for all of the old conference sites and a single landing page for all future conferences. It was an exciting time at the Berlin Conference! Theme: Jekyll Bulma by Eray Aydın. The source code is licensed MIT. The website content is licensed CC ANS 4.0.